Boy oh boy has the weather taken a turn! It is HOT, and only expected to get hotter this week. The warmer weather has made the flowers go crazy, and it seems like I am constantly watering. Quite the opposite of what we have had in the past month or so! Lovely. Hope your heat wave ends soon. 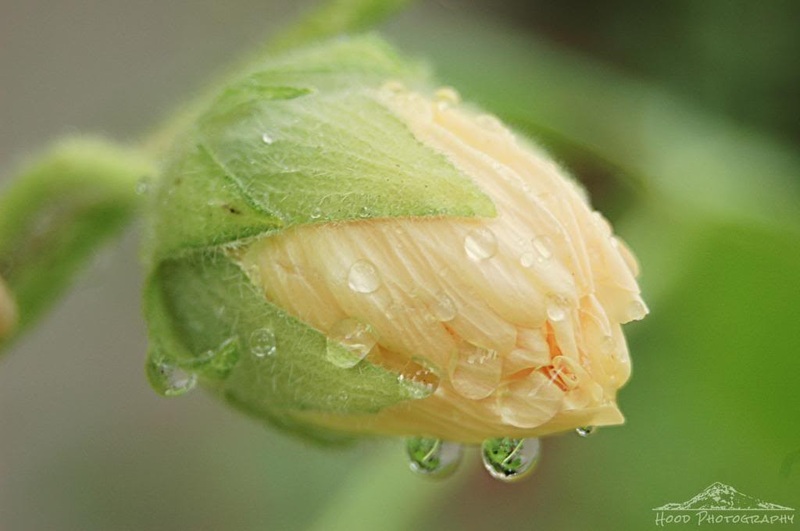 Love the raindrops on the bud. Very beautiful closeup! Stay cool! LOVE this and shared it on my FB page! What a delicate apricot color. Beautiful with the raindrops on!